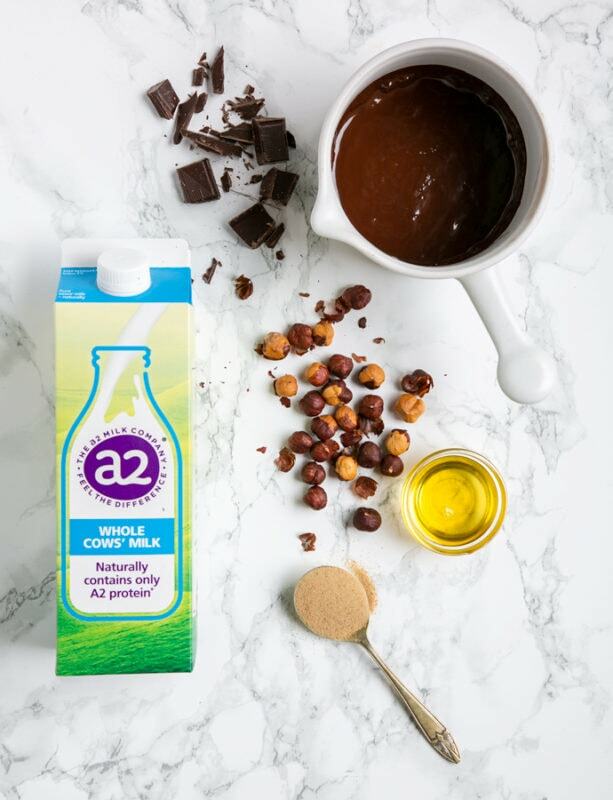 *Make sure both the milk and melted dark chocolate are warm, otherwise the chocolate hazelnut spread won't come together. 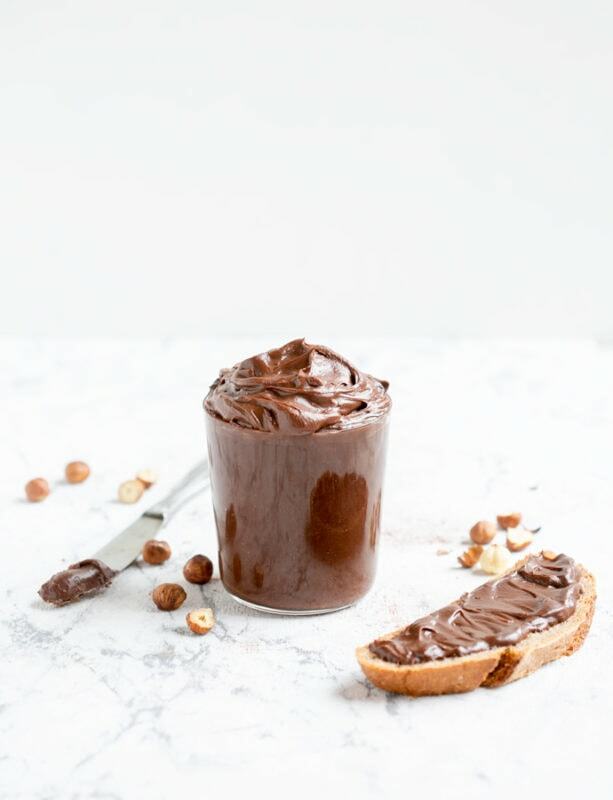 Thermomix Chocolate Hazelnut Spread recipe: I've made this recipe in my Thermomix and the result is a much smoother, rich chocolate hazelnut spread, so if you have it, I encourage you to try this recipe below. Note: You don't need to warm the chocolate and milk for this version. 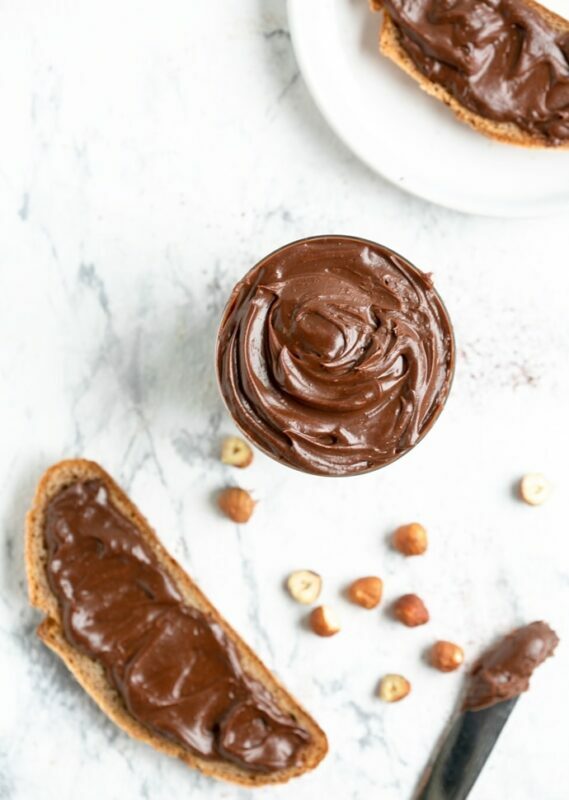 My husband LOVE chocolate hazelnut spreads and often adds it to his morning toast. But I’ve always kind of wondered how many extra preservatives and other not-so-great-for-you ingredients he was also adding to his diet. I’m definitely going to have to make him a batch of this instead! 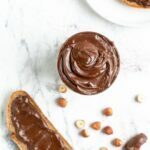 I had no idea I could do that much with hazelnut spread! This looks awesome and I’m loving the step-by-step instructions! 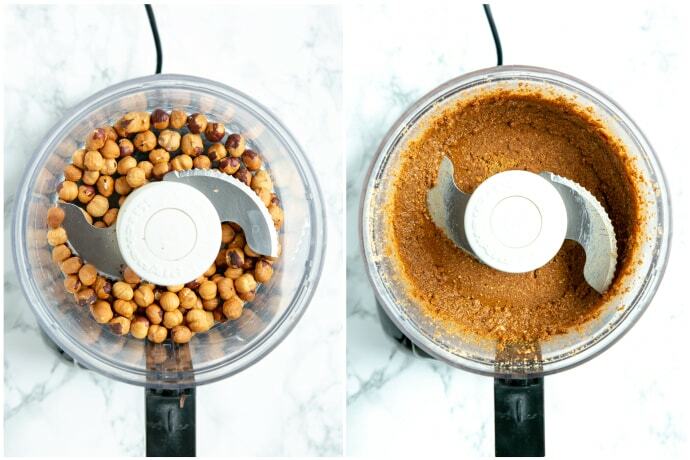 Can’t wait to give this a try…especially in my smoothies! I love hazelnut spread. But never tried adding dark chocolate to the mixture. I will give this recipe a try. Absolutely love how this spread looks. 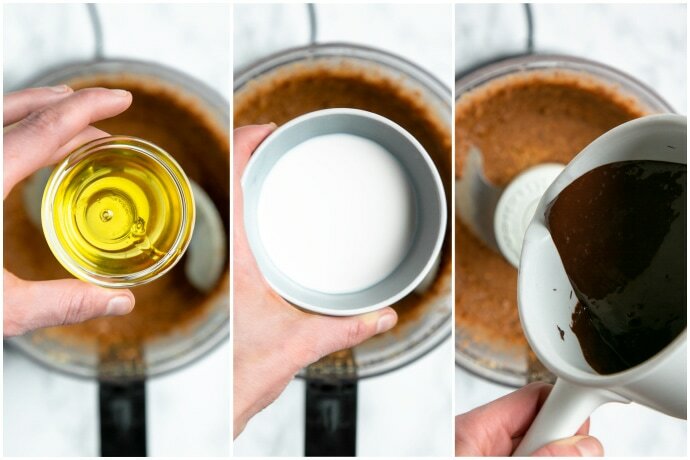 Who knew that making my own hazelnut spread at home could be so easy! Next time I will skip picking up a jar of the store brought stuff. Lovely recipe and amazing spread. 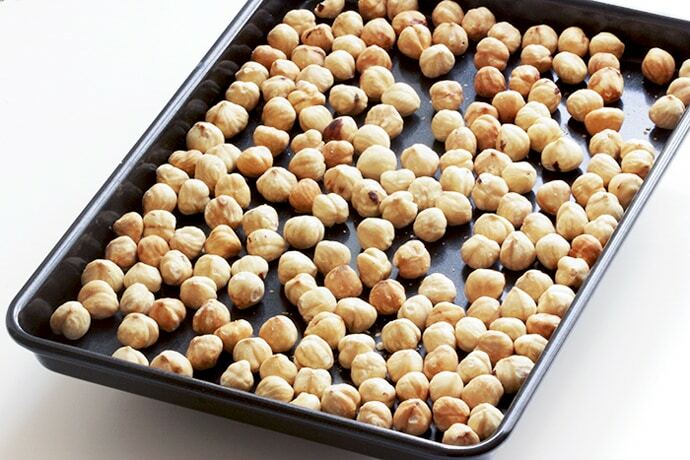 Looks delicious and could be enjoyed on so many options as toppings. I have always wanted to try to make this at home. However, I have never been brave enough until now. I know the feeling! I promise this is super easy, you’ll be amazed! that spread looks incredible! Such a smooth and silky texture, I can almost taste it! And I just love that it is made with a hanful of simple ingredients! Would be perfect to spread on pancakes and waffles too! Yum! 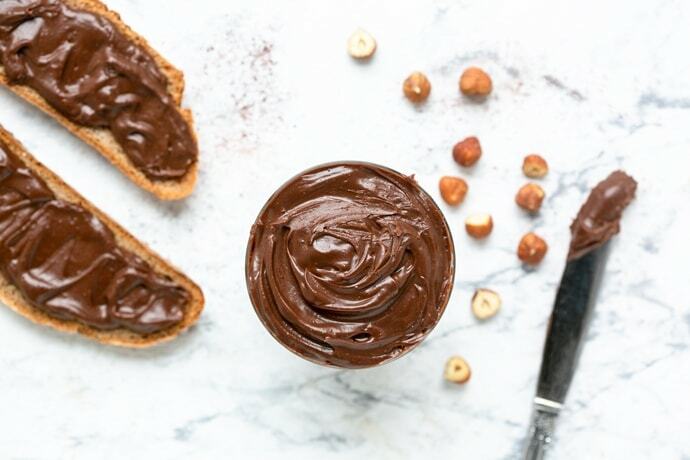 I’ve been meaning to make my own hazelnut spread and this seems like just the recipe I need! Love that it’s only 5 ingredients and your photos are so eye catching! Oh my! I need to start making my own spread from now on. I mean, more chocolate, please. Oh this looks absolutely amazing and like it needs to be on my spoon in the very near future! This, on a sweet dough with some caramelized nuts, coconut and bruleed raspberries! So loving this! OMG this look AMAZING and like it needs to be on a spoon for me in the very near future! I’m picturing this on a sweet dough with bourbon hazelnuts, coconut and bruleed raspberries! Gorgeous! that looks so good!! Can’t wait to try it! Oh this looks so easy and delicious.. and exactly what I need on my spoon! LOL I’m thinking this on a dessert pizza with toasted hazelnuts, coconut and bruleed raspberries would be AMAZING! Oh it looks so good. I’m not sure if I should make it as I will just eat the entire thing myself. haha! 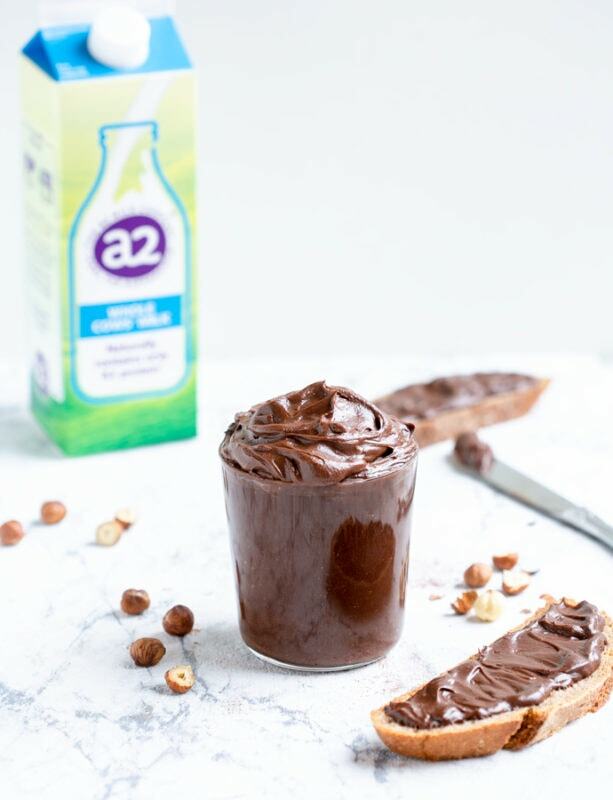 I love that you can make a healthier version of chocolate spread at home with real nuts, real milk and good quality chocolate! Pinned for later, because it looks too delicious not to try. So much more delicious than anything store bought. YUM! I love that this only needs a few ingredients. It looks so delicious! I still try to heap as much Nutella on top of my toast as possible. Why? 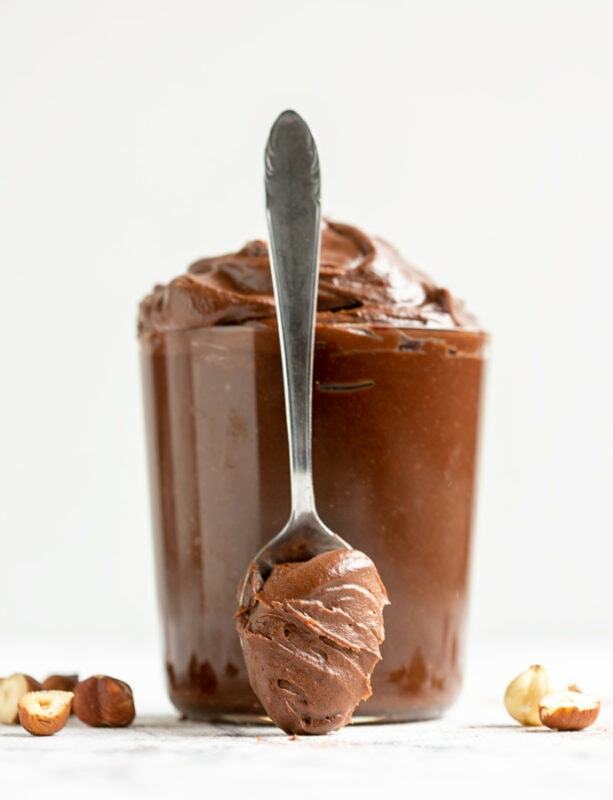 Because Nutella is spectacular and this homemade version looks the same! I am sure it tastes superior and I wonder if it is cheaper, as well! Does this make enough for your two ingredient chocolate cake?